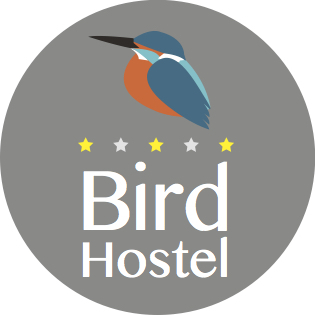 Size en iyi deneyimi sağlamak üzere Bird Hostel teknik, analiz ve pazarlama amaçları için kendi ve üçüncü taraf çerezlerini kullanır. Sitemizde gezinmeye devam ederek çerez kullanımımızı kabul etmiş olursunuz. Lütfen daha fazla bilgi için Çerez Bildirimimize göz atın. We ask all guests to show their passports. If you do not check out by the appointed time, you will be charged an additional fee for late check-out. Please pay accommodation fees in cash or by credit card (VISA or MasterCard) when checking in. Please note that prices differ depending on the booking websites. Due to our cancellation policy, you will be charged full price for your accommodations, if you cancel your reservation two days before your intended stay. Reservations that are canceled 2 days prior to the intended check-in day or no notice/ no show will be charged 100% full fees. Smoking is prohibited in bedrooms and common areas. Please consider the other guests and refrain from shouting or making loud noises, especially after midnight. Please refrain from doing laundry and using the washing machine or dryer after 22:30. We will store your luggage. This service is available from 7 am on the day of your check-in. You will be charged if you want to store your luggage prior to your check-in day or after your check-out day (500 yen per day). If you misplaced anything, we will keep it in the Lost and Found for 2 days only after you checked out. Children over the age of 13 may stay with their parents in the dormitories. Children under the age of 13 can be accommodated with their parents in a private room on the third floor. Private rooms require advanced booking. Price for children and adults are the same.